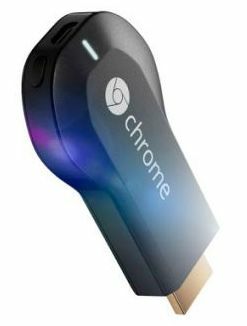 Google has launched a new product called Chromecast like Apple's AirPlay that lets you stream videos, music and web contents to your TV using your mobiles, tablets or laptop. Chromecast is a HDMI dongle that allows you to cast mobile contents on your TV by simply plugging the dongle. It works with some popular streaming apps such as YouTube, Google Play Movies, Netflix, Chrome and more. Chromecast dongle works over HDMI and should be plugged on your HD TV. And it requires Wi-Fi connection enabled device to connect the dongle. Turn on WiFi connection from your any devices like mobile or tablet or laptop to display the contents to your TV. There you can control the playback options such as play, pause, volume increase and more. It supports multi-tasking feature so you can do any other works while playing videos. You can send a Google+ photos slideshow, YouTube videos or any other Chrome apps to your TV via your Chrome browser. It does not require a remote to handling device. 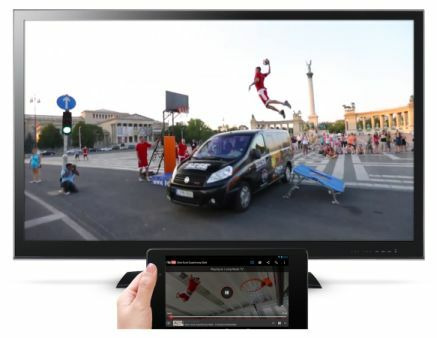 Chromecast works with Android, iOS and Chrome (Windows, Mac). It is priced at $35 only and it is currently available for US only on Google Play Store and Amazon online. It will be coming to other countries soon. Excellent article, keep posting articles like this.